Many of our D-Day Tours guests choose to stay with us in our self-catering accommodation to extend the experience, and to continue the discussions started during the day. Sometimes, having had a few hours to think about what you have seen, really helps the discussion and allows you to gather your thoughts before talking about it with others who have seen the same things. We have has many, many fascinating discussions in the evenings after tours. 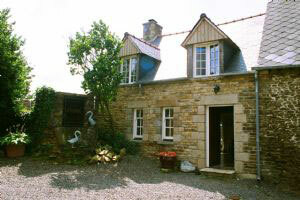 We are always delighted to host our guests at our excellent holiday cottage-gites. 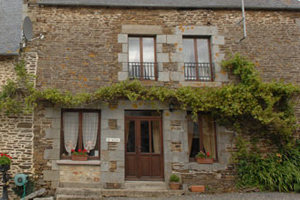 We have two beautiful individual cottages (Les Moulins sleeps 8 and Hirondelle sleeps 5 ) and one studio apartment (sleeps 2). All our properties have been decorated as a home from home so you will feel as relaxed here as you do in your own home. Both the cottages have their own private patio areas with tables, chairs, parasols and barbecue. Our accommodation is situated in approximately one acre of lawned gardens which includes a large heated swimming pool and boule pitch. Our tasteful and comfortable holiday gites will provide you with the ideal location for the perfect family holiday, to re-discover the past or become an explorer/adventurer but most of all it will give you the opportunity to experience the ‘real’ France and its way of life.